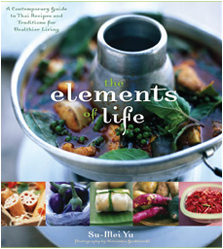 Based on the Thai concept of “food as medicine,” this ground-breaking book will show readers how to revolutionize their diets and use their “home elements” — which can be identified with the included interactive wheel — to eat for optimum health, beauty, and spiritual well-being. Imagine sitting under the shady palapas, only steps away from the waves crashing onto a blazingly hot tropical beach by the Sea of Cortez, drinking ice cold margaritas with a good friend. It was on such a summer day, a year ago, that Harriet Bell and I were reveling in how glorious our lives were. We had gone on a well-deserved celebratory vacation after the end of my successful book tour. 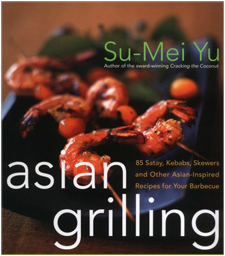 At last – a cookbook that captures not just the recipes, but the soul and spirit of Thailand. 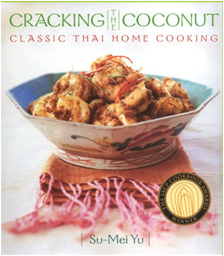 “Cracking the Coconut: Classic Thai Home Cooking” is a tribute to centuries of culinary artistry and generations of gifted cooks.Meticulously researched and stylishly told by chef and author Su-Mei Yu, the book celebrates Thailands history, culture and people as well as it’s fascinating food.